If a blocked drain becomes persistent and the problem is serious then as a business owner, the last thing you want is this causing your business to slow or even totally stop until the drain is unblocked and the problem is fixed. 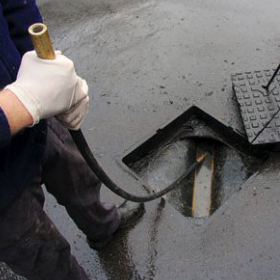 AlfaClear Drains are experts in dealing with commercial drain unblocking – Our engineers carry all the necessary equipment and tools to get your drain unblocked and your business back on track as fast as possible. Whether it is blocked drains, toilets overflowing with water and sewage, hot/cold water problems, burst mains pipes and leaks – AlfaClear’s team of fully trained engineers are on hand. We also offer regular maintenance checks to ensure the your drains and pipes are kept in the very best condition seriously limiting the chance of any leaks and any disruption to your business. We have solutions for long-term problem solving for example installing stop-valves for business that cook food which takes minutes and is very effective at stopping food and or sewage from backing up the pipes and allows the water to flow freely out. At AlfaClear we are always trying be proactive rather than reactive and believe that prevention is the key. 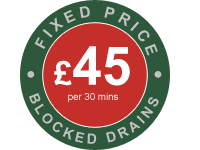 To speak to us about our commercial drain services or get a quote please call 0800 298 0040 or submit your enquiry using the form on out contact page and one of our team will get back to you within 24hrs.